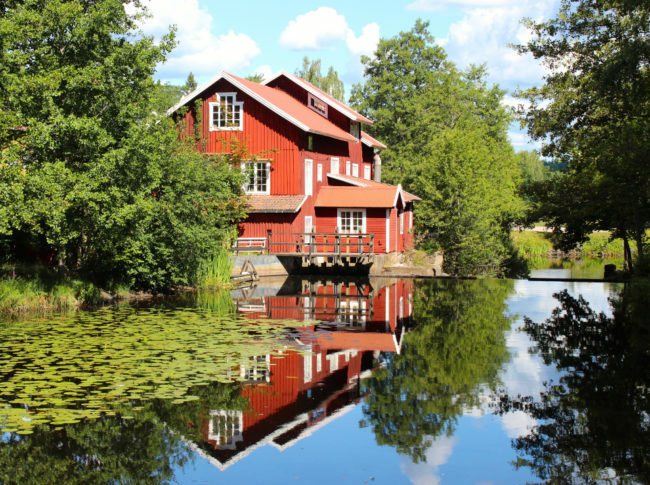 Directly south of Stockholm, the Småland region has something for everyone, from cute pastel-coloured towns, to islands, glass factories, a castle, pine forests, rust-red cottages with white trim, even the hometown of Astrid Lindgren, the author of Pippi Longstocking. If you’re hankering for a look at Sweden outside of its big cities (Stockholm, Göterbog, and Malmö), without the remoteness of Lapland, I recommend Småland. It’s a little too far for a day trip from the main cities (two to five hours drive) so plan at least a couple of days, preferably more. You could spend weeks crisscrossing the region. Below are some highlights, which we managed to squeeze into a short 3-day/2-night familiarization trip hosted by Visit Sweden. We got around with a combination of trains, private mini-buses and boat. Many of the towns are accessible by train with Swedish Railways, but the use of a car would make it easier to explore of course, since Småland is a large region with a lot to see. If you’re a fan of writer Astrid Lindgren and her children’s tales, Vimmerby is where she was born and grew up. Today, her hometown honours her memory with both Astrid Lindgrens’s World, and her childhood home now turned into a museum. 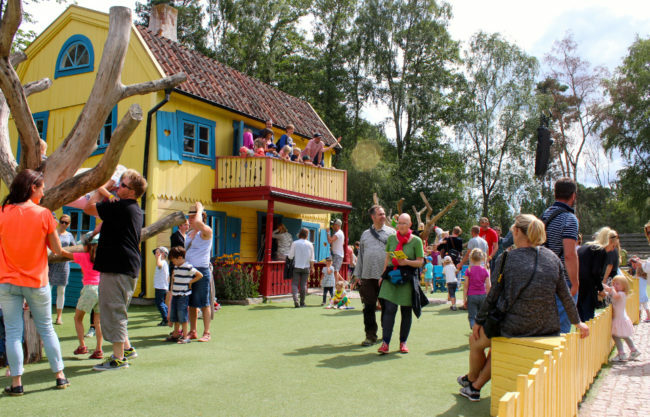 Astrid Lindgren’s World is a theme park focusing on her most famous children’s stories. The park is built amid a natural forest and features elaborate sets with full-size buildings where actors recreate scenes from the books. The site also has many play areas for children as well as cafés and restaurants, including Stadsmästargården which serves traditional Swedish food. To be honest, this attraction is better suited to children and families, and since the skits are in Swedish only, you won’t know what they’re saying unless you’re already familiar with the stories or understand Swedish. The park is only open from May to September (and one holiday week in October). 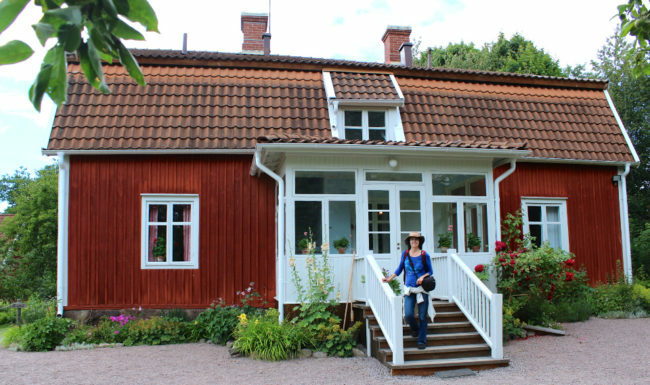 If you’re more interested in the author herself, visit the House/Museum of Astrid Lindgren, which is an easy 10-minute walk from town. This is the house where the author grew up, located on a farm called Näs. Her parents weren’t very strict, allowing her a playful and adventurous childhood with siblings and friends, which inspired her stories and characters. When she was 13, her family moved to an adjacent house, and some of her descendants still live there. In peak season, there are daily guided tours of the house in Swedish, German, and English. 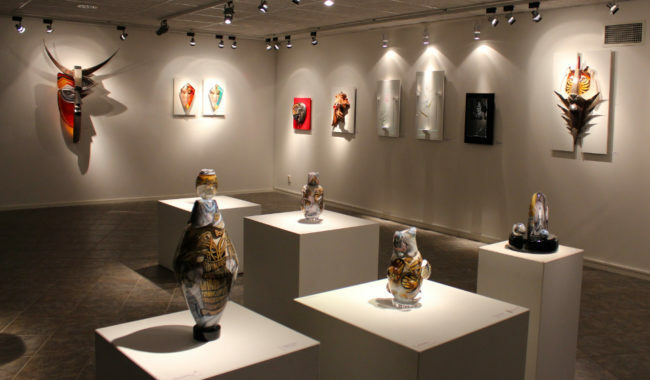 Next door, a museum offers more insight into Astrid’s life and work. Audio-guides are provided. Finally, the site includes gardens (featuring the “lemonade tree”) and a relaxing garden café. From here, Astrid Lindgren’s World is a further 10-minute walk. The town of Vimmerby itself can make a pleasant stop for a day. The tourist office has a brochure detailing a self-guided walk in the footsteps of Astrid Lindgren. How to get there: Vimmerby can be reached by train. From Stockholm, you need to change trains in Linköping. Astrid Lindgren’s World has its own train stop, which is the one just before Vimmerby. 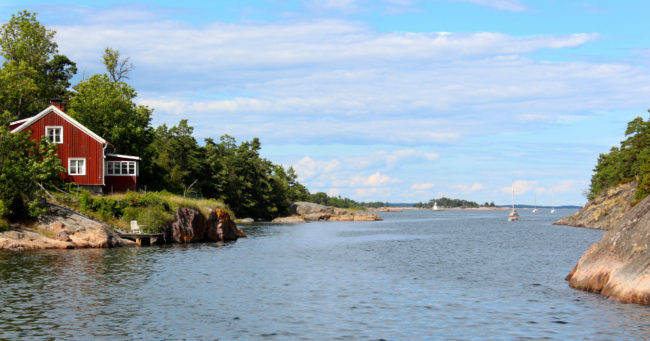 To the east of Vimmerby, along the coast, is the town of Västervik, gateway to an archipelago of five thousand islands, that dubs itself “the most beautiful archipelago in Sweden”. The islands are sparsely populated (if at all), but several offer cabins, cafés, and restaurants. Water activities such as swimming, fishing, and kayaking are of course popular, but you can also enjoy bouldering or hiking on some islands. We only had time to make a stop on Idö for lunch and a climb up the old pilot tower for views. On this warm summer day, many swimmers and sunbathers were spread around the smooth rocks by the edge of the water. 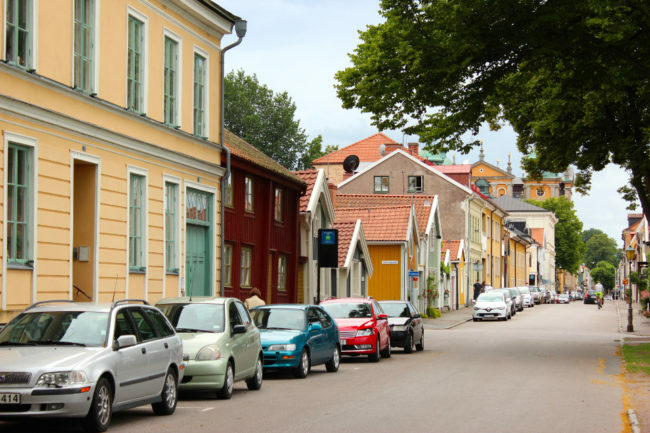 Västervik itself is a pleasant little town with a pretty harbour and pedestrian cobbled streets. How to get there: Västervik can be reached by train. From Stockholm, you need to change trains in Linköping. In summer, there are regular ferries from Västervik to Hasselö and Idö. From Loftahammar (north of Västervik) a boat can take you to Rågö which has a hostel. If you want to go anywhere else, you will need to hire a water taxi, or your own boat (or kayak). 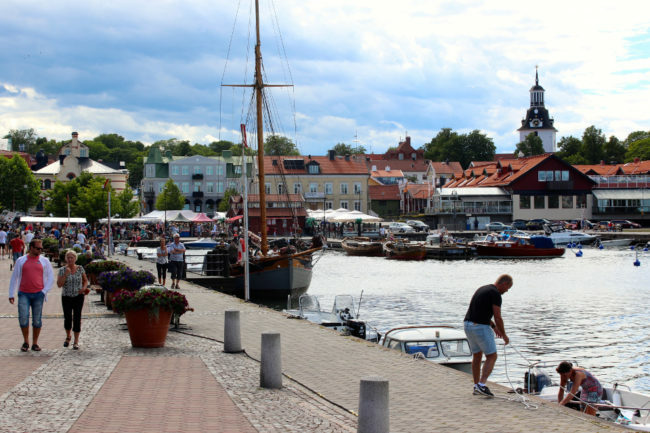 Kalmar is a costal town in the southern part of Småland. It was one of Sweden’s most important population centres during the Middle Ages, with the Kalmar Castle dominating the fortified city. 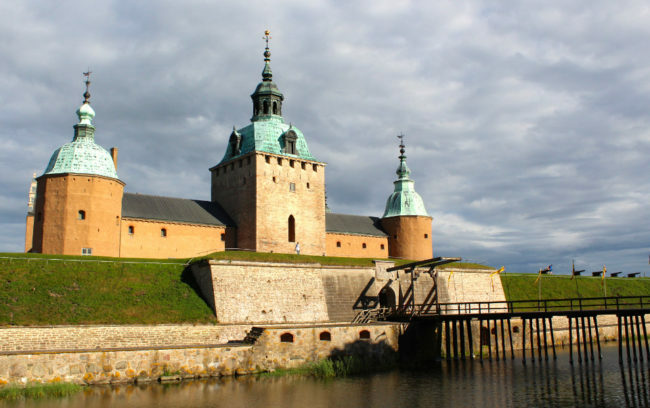 Swedes and Danes were enemies back then, often engaging in bloody wars, but the Kalmar Castle was never taken. Today you can visit it for 100-130 SEK (US$12-15, depending on the time of year) which includes an optional guided tour as well as access to the permanent and temporary exhibitions. Guided tours in English are only offered from June to September. The castle has a café for lunch and a gourmet restaurant serving a set dinner menu from Thursday to Friday. Our small group of bloggers got to enjoy dinner and the food was in the same league as Stockholm’s Nobel dinner (minus the ultra-fancy dishes, and for a much lower price). Besides its castle, Kalmar has several museums (Arts, Maritime, County) and offers a pass which gives 50% off admission to most attractions in town. If the weather is nice, you can play golf, take a boat tour, rent a bike, or just amble around town popping in and out of art galleries and churches. The medieval centre of Kalmar (Old Town) lies right next to the castle and still contains many well-preserved 17th and 18th century buildings. Older ones burned down during the fire of 1647. 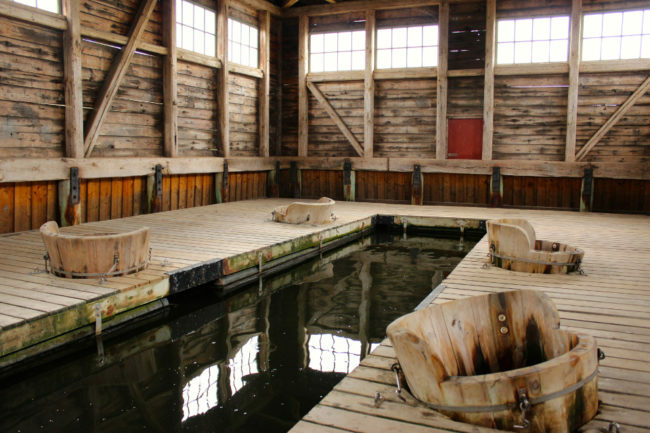 On the other side of the historic town, standing in the water and linked to the land by a wooden bridge, is the only remaining public washhouse in Scandinavia (1857). Locals still come here to wash their carpets the old fashion way! How to get there: Kalmar can be reached by train. From Stockholm you need to change trains in Alvesta or Linköping. To the west and northwest of Kalmar are several glass factories within a wide area nicknamed the “Kingdom of Crystal” (Glasriket). Glass has been produced here since 1742. We visited two of them. Our first stop was the Målerås Glasbruk AB in the village of Målerås. Here a shop sells everyday items made of glass, and an art gallery displays seriously beautiful (and expensive) pieces. 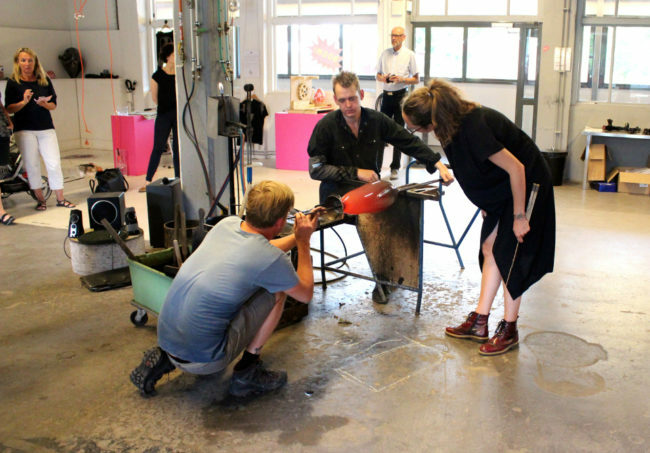 You can learn how to blow your own glass bowl in the workshop for 400 SEK (US$47) in a 20-minute session. Our second stop was The Glass Factory in Boda Glasbruk, where glass blowers work with designers to help them produce unique pieces. While we were there, we stood in the workshop and watched a Danish artist directing a couple of glass blowers to create her tall red vases. The museum here shows how glass design evolved throughout the decades. There is also a shop and a small craft room where you can learn to etch and paint glasswork. How to get there: A car is better, but you can use a combination of train and bus if you are really determined, for example train to Nybro then bus 139 to Målerås or 137 to Boda Glasbruk. 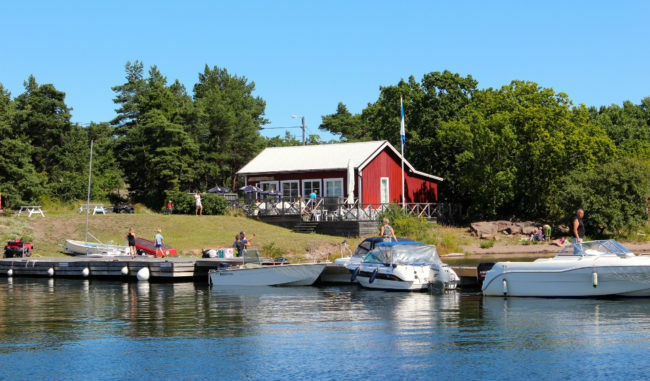 These highlights of Småland are just a small sample of what’s on offer. With your own vehicle, you could travel around Småland’s countryside for weeks, driving down two-lane roads through tall pine forests dotted with those rust-red cottages with white trims that are quintessentially Swedish. You could stop for fika in small villages like Mörtfors (south of Vastervik along E22) with its old-fashion café and delicious baked goods. 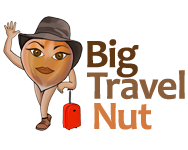 You could look for secluded beaches along the heavily indented coastline and its myriad islands. Whether you’re after culture, art, food, history, or outdoor activities, you won’t be disappointed in Småland. Just make sure you come in summer when the maximum number of services are operating and English tours are running. For more information, check out the Småland tourism website. Note: I was hosted by Visit Sweden on this trip, but as usual all text and opinions are my own. Yes, I can see that you’re quite the expert on Sweden. 🙂 I’ve only been once (last summer for TBEX) but wouldn’t mind going back. Too bad it’s so pricey.